I'm really excited to share this mini-set. 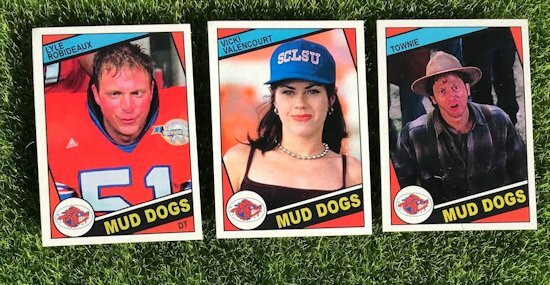 It ranks right up there with my Bloodsport and Major League as far as it's comprehensiveness both to the movie and the card set used for it. 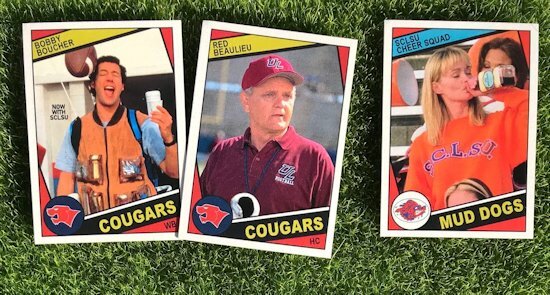 I actually started this set back in 2016 with the Coach Klein card. 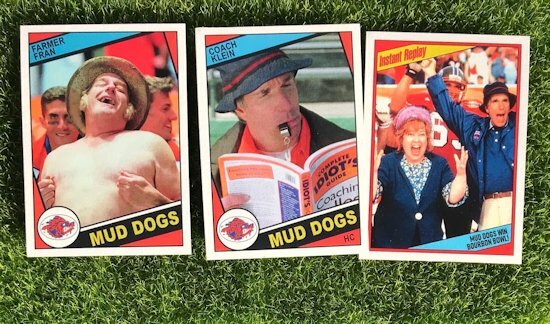 That was when I was making one offs in hopes of getting my cards autographed through the mail and Henry Winkler is great at signing for fans. 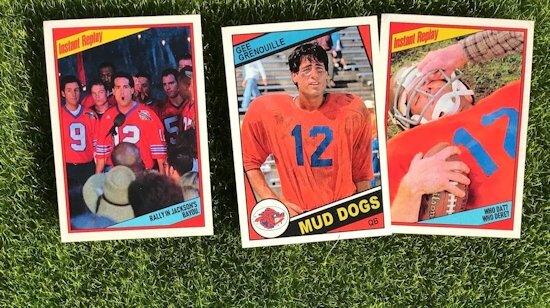 Since The Waterboy came out in 1998 (I wasn't collecting cards then, no nostalgia) I went with the 1984 Topps football inspired design. The main reason I chose that year was I wanted a design that used the team logo so I could feature the Mud Dogs logo. Then came the Bobby card that was going to get signed through a connection but that never materialized. Just recently I added the Vicki Valencourt card for a private signing she was doing that I sent the card into. Getting that card signed really inspired me to make this thing official. My favorite part of doing mini-set is after the base cards are done looking for applicable ways to use a certain design's subsets. The subsets are my favorite. It's the trading card junkie in me that loves the uniqueness of re-purposing the subsets to fit the movie . Especially record breakers. Record breakers are my absolute favorite to do. 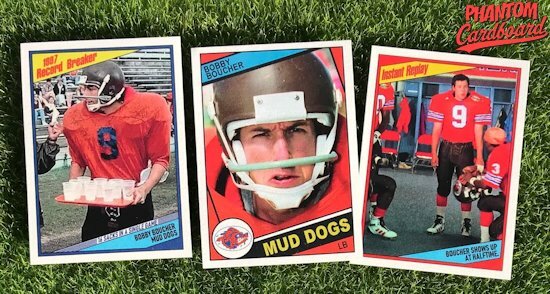 Knowing Bobby shattered the single game sack record in The Waterboy I knew I'd have a lot of fun with that card. I usually make mention of the record that was broken on the front of the card whereas the actual cards went into that information on the reverse side. 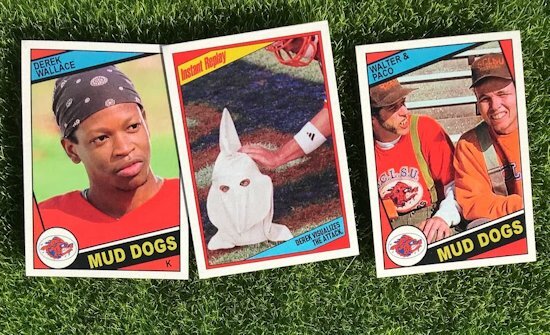 I borrowed something similar to the "Topps Super Rookie" tag found in the 1988 Topps football set. It's definitely my favorite card of the set. Very happy how it came out as well as the rest of the set.